In January 2016, The Philadelphia Inquirer became the largest American newspaper to placed under nonprofit ownership, an endowed institute operated for the public benefit. The goal of this structure is to sustain great metropolitan journalism for years to come through new investment, new entrepreneurship, new journalistic resources and new technology. While the structure is philanthropic, the organizing mindset is highly entrepreneurial, that of a venture investment. These efforts have been lead by, among others, Josh Kopelman, the cofounder of First Round Capital, a leading seed and early-stage venture capitalist, and Gerry Lenfest, a cable entrepreneur and early disruptor of broadcast television. In September, I took over as CEO of the Institute for Journalism in New Media; we have since surrounded ourselves by women and men with a startup mentality unusual for a 187-year-old media property. Tony Haile, Kim Fox, Hong Qu, Vijay Ravindran, Burt Herman, Martin Nisenholtz, and Sara Lomax-Reese have each joined the Institute or Philadelphia Media Network team or board in the last few months. In November and December, post-election, we and several other public-interest media groups have been witness to meaningful new support from engaged, concerned, and generous individuals. Our colleagues at ProPublica, the Center for Public Integrity, WNYC, the Texas Tribune, the Marshall Project and others report the same. This surge of philanthropic support was encouraging in several respects: First, it has been bipartisan, coming from both conservatives and progressives who share concern about the advent of fake news and the need for objective coverage. Second, there is a growing view of journalism as a critical investment in our democracy and our society. A kind of venture investment mindset has emerged that views the reinvention and revitalization of news from the same perspective as the revitalization of other areas of communications, software or information technology. In 2017, in addition to continued individual giving, we will see more serious institutional philanthropic commitment to journalism. In particular, we will see much more interest and action at the intersection of journalism and venture philanthropy. I say venture philanthropy because smart money is approaching investment in public-interest journalism with the mindset of venture investors. The Democracy Fund, the Gates Foundation, the Emerson Collective, and other philanthropies with financial roots in software and technology view their investments much as do venture capitalists, with rigor and expectation for meaningful returns. In distinction to classic venture investing, the currency of venture philanthropy in journalism is not cash but deep, fact-based reporting, measurable audience engagement, meaningful policy and social impact, and the development of new business models that sustain great journalism and civic engagement. These returns on civic investment will be more valued and more valuable in 2017 than ever before. When the value of investment returns increase, so too does invested capital. 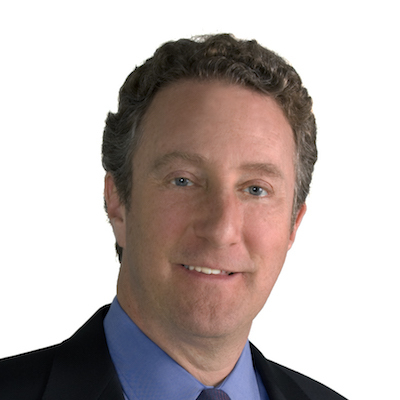 Jim Friedlich is CEO of the Institute for Journalism in New Media. Dec. 18, 2016, 8:41 p.m.